It’s OK. Cross our hearts. We know you’ve dreaded it for a long time, but now you’ve finally got to replace your roof. Don’t panic though, because you’ve come to the right place. We make the roofing process simple. We’ll send out a qualified roofer to give you a free estimate. He’ll explain everything we’re going to do on the roof and will answer any questions you have. We’ll always give you several different shingle options that we recommend so you can choose the right fit for your home. If you’re interested, we can even give you some addresses of houses that we’ve roofed in your neighborhood so that you can get a better idea of what a certain shingle style and color will look like on your home! we do roof repairs, too. And our repair guys are awesome. Insurance claims can be complicated, and it’s important to work with a contractor that has experience in dealing with these claims. The good news is that we’ve been helping homeowners deal with insurance claims since 2015. We are able to give you a free, no-obligation estimate on the damage, and then work with your insurance company to ensure that all you will have to pay is your deductible. We work with all insurance companies, so no matter who your policy is with, you can be sure we’ll be able to help. We’ll make sure that all the damage on your home is fixed up even better than it was before. Learn more about how we can help work with your insurance here. 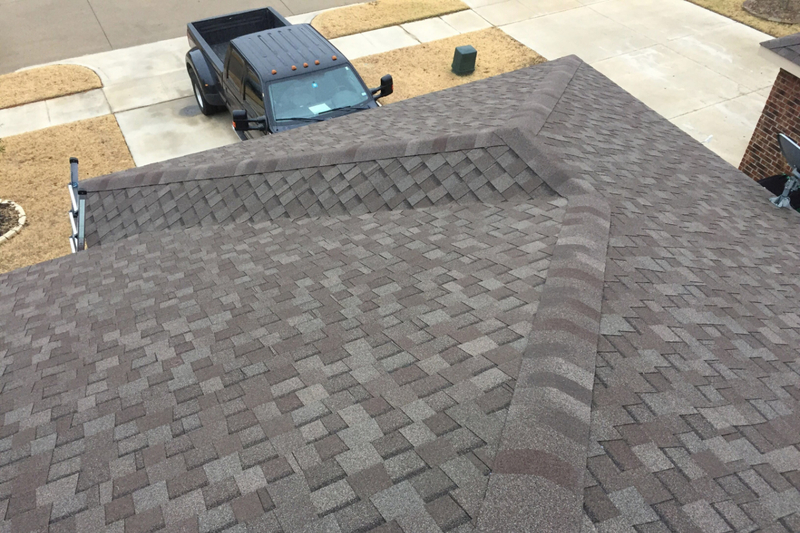 A written roof inspection will set you back $100, but if we have time we usually don’t mind looking over the roof and giving you our best guess of the life expectancy, for free! Just think of us like your helpful uncle and remember to send us a Christmas card.